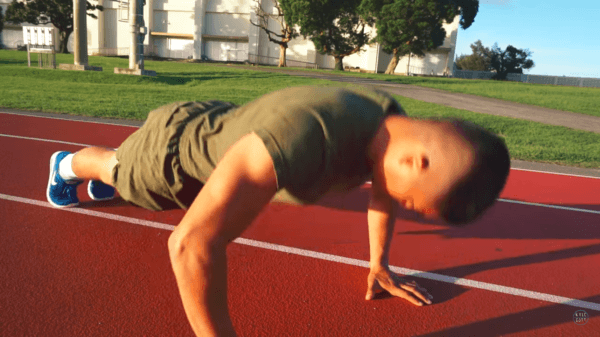 Following on their success of the physical fitness test (PFT) attempt of a U.S. Marine Corps PFT by this Airman, these military beasts decided to amp it up, or down depending on your definition of a challenge. As a U.S. Marine Corps PFT is famous for its challenging and difficult nature, U.S. Air Force ones are infamous for how easy they are comparatively. With something to prove, NavaTheBeast (U.S. Marine) and Kyle (U.S. Airman) went back at it, but instead of doing the U.S. Marine PFT, they both tried to knock out the U.S. Air Force physical fitness test. This is NavaTheBeast’s first time attempting to do the Air Force PFT. Anyone curious to see how things turned out in this Airman vs. Marine challenge, be sure to watch until the end! 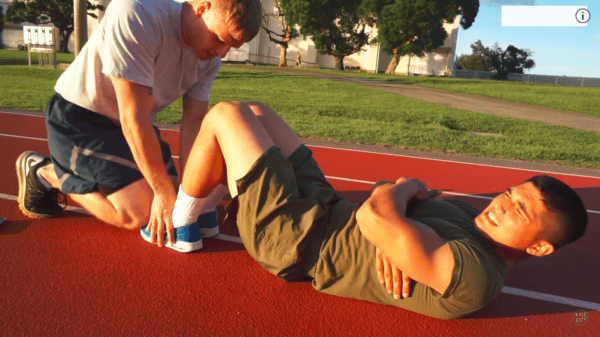 The United States’ Air Force’s Basic Military Training Physical Fitness Test is a three-test physical fitness test that tests overall endurance, strength and ability. In order to graduate boot camp, cadets are required to pass the physical fitness test and meet the minimum requirements. The test consists of one minute of push-ups, one minute of sit-ups, and a timed 1.5-mile run. The test also includes a measurement of waist circumference. The maximum score for an airman is 100 points, meaning that they reached the maximum on all portions of the test. The run counts as 60% of the test, waist circumference as 20% of the test, and both strength tests count as 10% of the test each. A passing score is 75 points and the test needs to be taken twice a year. Comparatively, fitness is one of the most vital selection criteria of the US Marine Corps. Strength, perseverance, and hard work build character, and this is a way of life for the Marine Corps. The reason why such emphasis is laid on the physical fitness test is because Marines who are not fit or strong enough cannot be a warrior, and can also hinder the performance of the rest of the team. There are two main components to the test: The Physical Fitness Test, and the Body Composition Program. The PFT is conducted twice a year, and has three events: pull-ups (or flexed-arm hang for females), abdominal crunches, and a 3-mile run. All PFT events are held in a single session, and the maximum duration is not supposed to exceed two hours. The perfect PFT test is 300 points. To be able to accomplish this, males must complete 20 pull-ups, 100 crunches in less than 120 seconds, and finish the three-mile run in 18 minutes or less. For females this requires flexed arm hang for 70 seconds, 100 abdominal crunches, and a three mile run in 21 minutes.